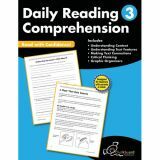 Activities Align with Common Core State Standards. 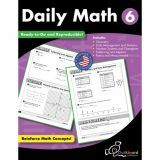 Activities for each day of the week focus on a specific math strand, including number sense and operations, patterning and algebra, measurement, data management, fractions and geometry. Use these activities with a whole group, small group, or when working individually with students. Answers included. 98 pages. Motivate students with fun printing practice sheets. 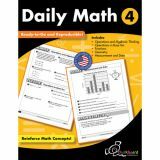 These ready-to-use worksheets provide daily focused practice. 120 pages. 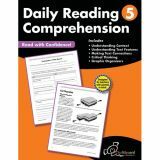 Help students hone essential reading comprehension skills with this must have resource! 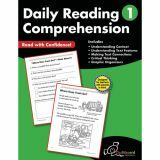 Each reproducible page includes informational text, that encourages students to read with a purpose. 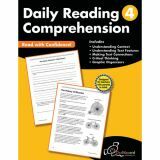 Follow up questions emphasize making connections, inferences and synthesizing what students have read. 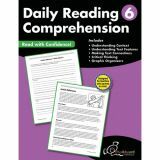 Aligned with Common Core Standards. 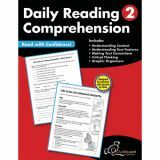 120 pages. Designer Cut-Outs, Chalk It Up! 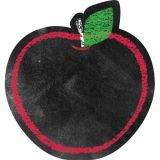 Apples, 6"
Infuse your classroom with some chalkboard charm! These versatile cut-outs are perfect for crafting projects, game pieces, holiday and seasonal decorating, writing notes or invitations, memory games, door or cubby tags, and more!